"Maths has no relation to real life"; is quite a common prejudice. Yet, we often use technology every day without understanding how it works. Smartphones, navigation systems or MP3 players: many electronic devices are constantly conducting mathematical calculations. Almost all engineering tasks involve comprehensive mathematical analysis. Mathematics is also essential in business, to describe the economic growth of a company, for instance. If you decide to study mathematics, the first two years will be devoted to fundamental topics, some of which you have already encountered at school (analysis, algebra, stochastics, numerics). You can then choose an applied or theoretical specialisation subject according to your own interests in which you will prepare your Bachelor's thesis. A wide range of topics is available, from analysing abstract algebraic or geometric structures to optimising transport networks to flow simulation. You will be equipped with skills to structure and solve complex questions of mathematics and related subjects. Mathematicians are in high demand. After completing your Bachelor's degree programme, you can either start a career or advance your knowledge in a Master's degree programme. Successful studies: A wide range of lectures offered in the three main areas algebra and geometry, analysis and stochastics, and modelling, simulation and optimisation is supplemented by intensive support in tutorial groups. Diverse specialisation: The FAU Department of Mathematics is a centre for state-of-the-art research within the three main areas. Numerous industry contacts allow students to apply their skills in practical contexts and open the door to future careers. Flexibility: By choosing a minor subject in addition to their specialisation, students can create individual study profiles. For many new students, university mathematics appears to be very abstract compared with school mathematics. However, abstract thinking can be learned provided that you study the subject regularly. 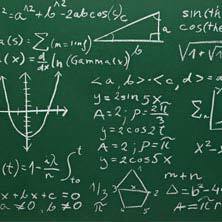 To be able to understand mathematics it is important that you spend enough time working on exercises. The language of mathematics with its definitions, propositions and proofs is highly formalised and it is not easy to learn. It is essential that you are always actively involved in lectures and tutorials. It is easier to understand mathematical principles when you try to explain them to others. Therefore, you should study with others in small groups right from the start, and not just by yourself. Computers are an essential part of learning in mathematics. In addition to word processing, this involves numerical or exact calculations and programming. This means it is important that you are comfortable working with computers. Subject specific IT skills will be taught in the degree programme. The Mathematics degree course is currently exempt from admission (NC-free) and can only be started in the winter semester. Applications for enrolment are normally made between the beginning of June and the end of September online via www.campo.fau.de.